The Museum was founded by the Yorkshire Philosophical Society to accommodate their geological and archaeological collections, and was originally housed in Ousegate, York, until the site became too small. In 1828 the society received by royal grant, ten acres (0.040 km²) of land formerly belonging to St. Marys Abbey in order to build a new museum. 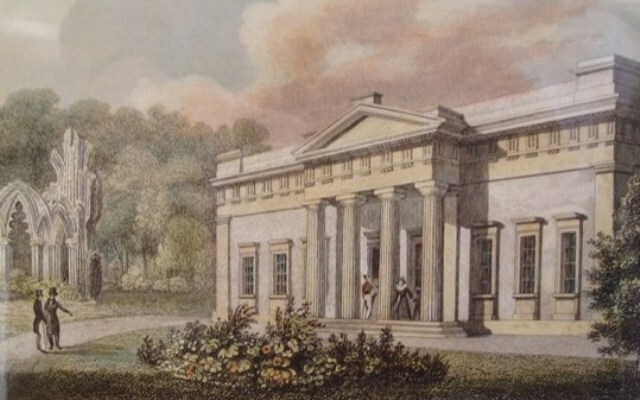 The main building of the museum is called the Yorkshire Museum and was designed by William Wilkins in a Greek Revival style. It is a Grade I listed building. It was officially opened in February 1830, which makes it one of the longest established museums in England. A condition of the royal grant was that the land surrounding the Museum building should become a botanical garden; this was done in the 1830s, and it is now known as the Museum Gardens. 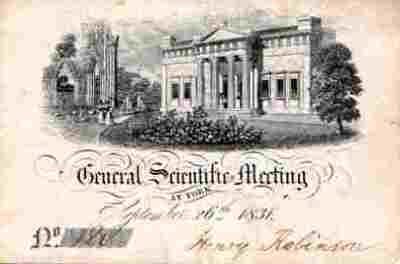 On the 26 September 1831 the inaugural meeting of the British Association for the Advancement of Science was held at the Yorkshire Museum. On January 2nd 1961, the Museum along with the Museum Gardens, were given in trust to York City Council. In 2002, its successor, the City of York Council set up the York Museums Trust to manage the York Castle Museum, York Art Gallery, the Yorkshire Museum and the Museum Gardens. Click here to visit the Yorkshire Museum and Gardens website.